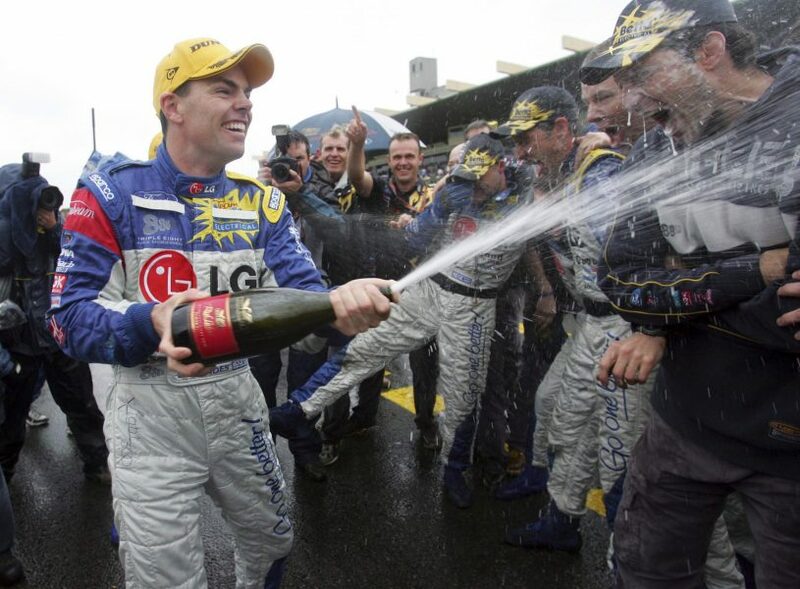 Craig Lowndes’ tally of seven Bathurst wins is made more remarkable by the fact he has another seven Great Race podiums to his name. Even in some of Lowndes' toughest years he's found the podium at Mount Panorama, ensuring he sits atop the all-time tally with 14; two clear of Peter Brock, Jim Richards and Larry Perkins. Famously starting with a second on debut in 1994, Lowndes also recorded runner-up finishes in ’99 – wrapping up that year’s title – 2003, ’04, and ’11, as well as thirds in ‘12 and ’13. 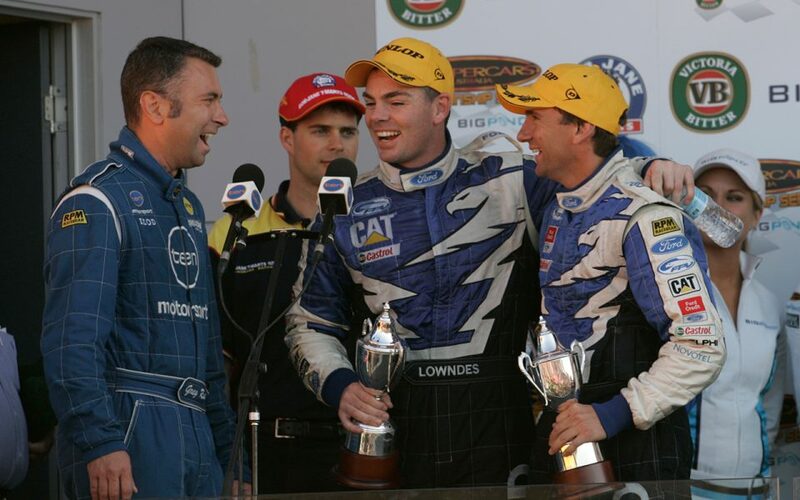 The 2003 and ’04 Bathurst results were two of eight podiums Lowndes achieved in his two years with Ford Performance Racing, which yielded just one of his 107 career wins. With three race wins across 2001-04, Lowndes’ first four years in Fords very much stand as Lowndes' ‘lost years’ between his Holden Racing Team and Triple Eight eras. 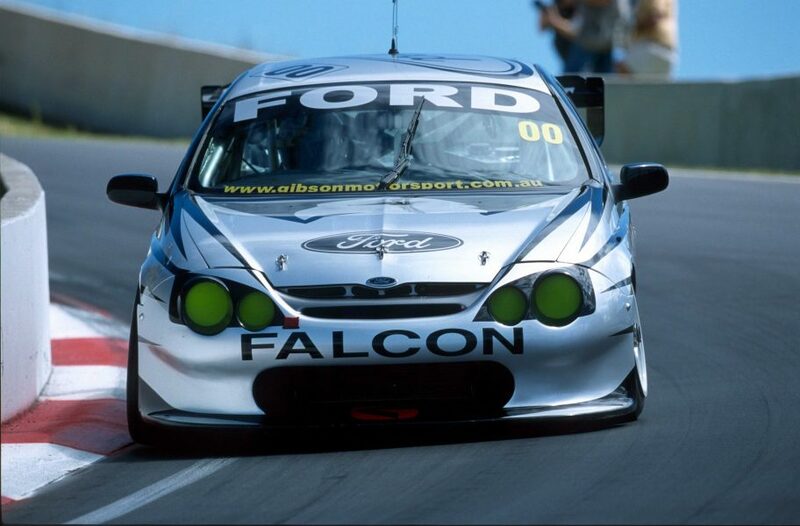 Lowndes’ decision to leave HRT at the end of 2000 for Ford and a reborn Gibson Motorsport was always a risk. The Gibson team went from running a pair of Commodores under the ownership of Garry Dumbrell, and acquired a Stone Brothers Racing Falcon to get its season underway. It started well enough, with podium finishes in the first three races, including a win in Adelaide, but 11th in the championship was the ultimate result with a temperamental AU Falcon. In the background, things were not as they seemed, with even Lowndes unaware of the true picture. 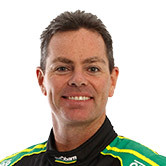 It emerged that Bob Forbes, and not Gibson, had bought out Dumbrell at the end of 2000, and Gibson departed after a single season amid disagreements with Forbes. 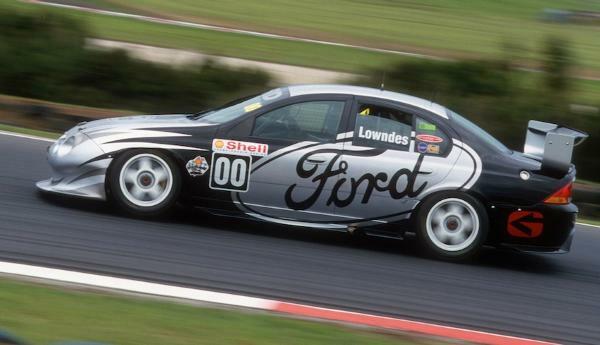 While the squad continued in 2002 rebranded as 00 Motorsport, it was a winless campaign, and Lowndes was lured by Ford into its new ‘superteam’, branded Ford Performance Racing. FPR marked UK engineering powerhouse Prodrive’s foray into Supercars, buying out Glenn Seton's team and rebranding it to complement the Ford Performance Vehicles road car business. Again, it started promisingly, with a win at the red-flagged second event at Phillip Island – a result Lowndes today says created a false sense of accomplishment at the team. Still, a second at Bathurst and fifth in the championship marked a solid outcome compared to the horror that was to unfold in 2004. Lowndes slumped to 20th in the championship, which to this day remains his worst result, with no wins to show from a campaign riddled with engine failures. Eager to use spare capacity at its headquarters, Prodrive had attempted its own engine development program in the UK, which lacked pushrod V8 knowhow. By May, news reports were circling that Lowndes would again be on the move, to Triple Eight, for 2005. By August it was official and, a month later, Seton was out too. Although Lowndes says he has no regrets about his career decisions, the early part of the decade was undoubtedly a lean period in his career. “Hindsight is a wonderful thing and looking back, you might have made different choices knowing what we now know,” Lowndes told Supercars.com ahead of his Newcastle farewell. “But at the time we believed it was the right choice and I think any driver that you talk to would say you make the decision the best you can at the time. “I don’t regret it. It was character building, we learnt a lot over that time, those (first) four or five years we were with Ford. 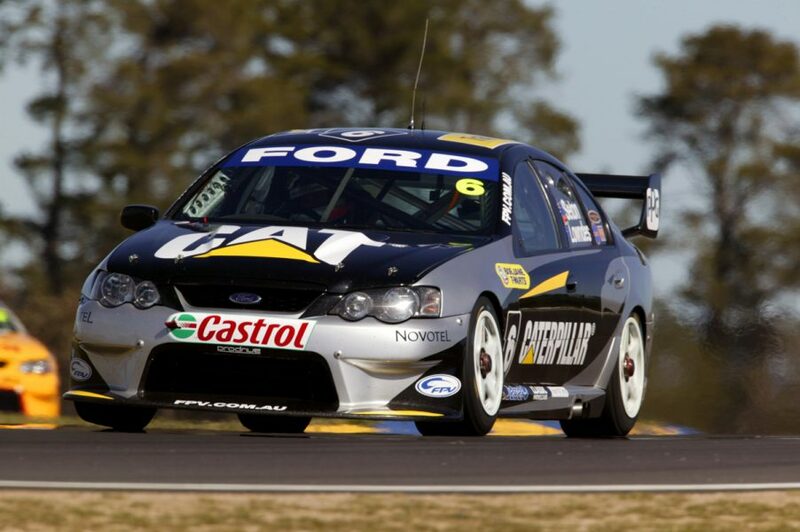 Lowndes’ arrival at FPR in 2003 came two years after Seton attempted to lure the newly Ford-contracted star into his own fold, then branded Ford Tickford Racing. “I tried,” Seton recalled to Supercars.com of securing Lowndes for 2001, “but his manager at the time (Noel Watson) probably didn’t rate our race team, I suppose. 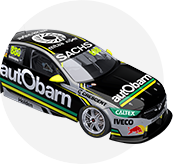 While 2003 and ’04 were lean for Seton too – 15th in points both years, without a win – he relished the opportunity to work with his once Holden rival. In many ways, Seton helped blaze the trail for Lowndes’ arrival into the championship in the mid-1990s. 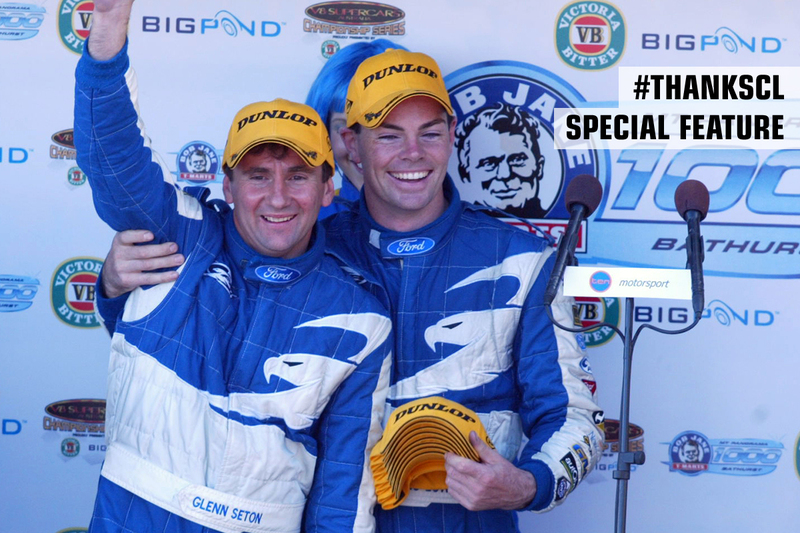 Seton and Mark Skaife were both brought on by Fred Gibson as 20-somethings in the late 1980s, taking it up to the previous generation, largely in their 30s and 40s. “What I saw on the outside, and what the public sees, is what I saw behind the scenes as a race driver and a person to work with,” said Seton of his experience with Lowndes. “He was exceptionally easy to work with, never had agendas or tried to undermine anyone, he just got the best out of himself and the vehicle he was in. “In a co-driver situation, it was fantastic because set-up wise I would work more on that and he would just hop in and drive the hell out of it, do a really good job with it. “It was similar in some ways to him and Mark, because Mark and I came up through the era of working technically with the car to get the best out of it to get the result. “In that era you had to be focusing on those areas because there weren’t many engineering staff around. “Craig was more based on the driver side of it, getting the best out of himself and focusing on the public side of it. Seton remains perhaps Australia’s best touring car driver never to win Bathurst, leaving his podiums with Lowndes as special memories. “2004 was a disaster throughout the sprint races with engine blow-up after engine blow-up after engine blow-up,” he recalled. “It was a pretty frustrating year. Finishing second at Bathurst was almost like winning it given the situation we were in. “On the Bathurst side, they rate very highly in my career because they’re the closest I got to the top of the podium. “In 1987 we finished second after the exclusion of the Eggenberger cars, so didn’t get to stand on there, but 2003/2004 we stood there in second place. 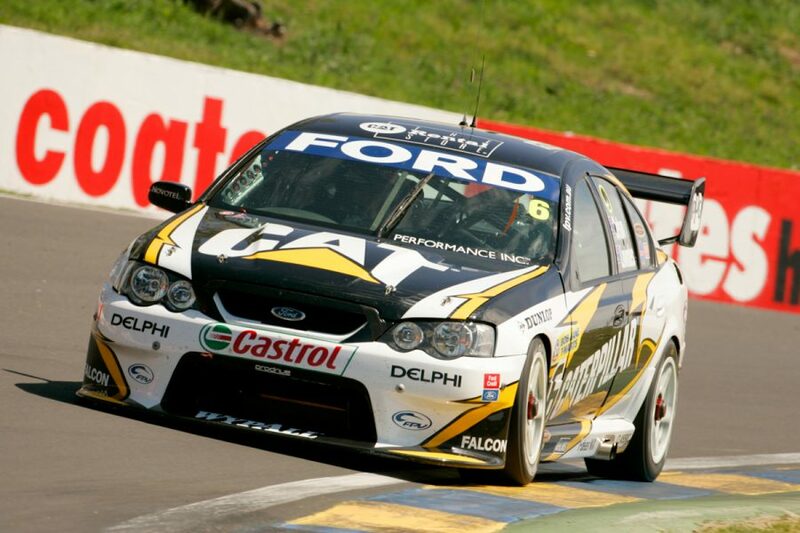 Lowndes had also shone during his first two Bathurst campaigns in Fords, teamed with Neil Crompton. Lowndes led midway through the 2001 race when he crashed in slippery conditions, while the #00 entry was a contender in ‘02 before succumbing to overheating caused by debris. 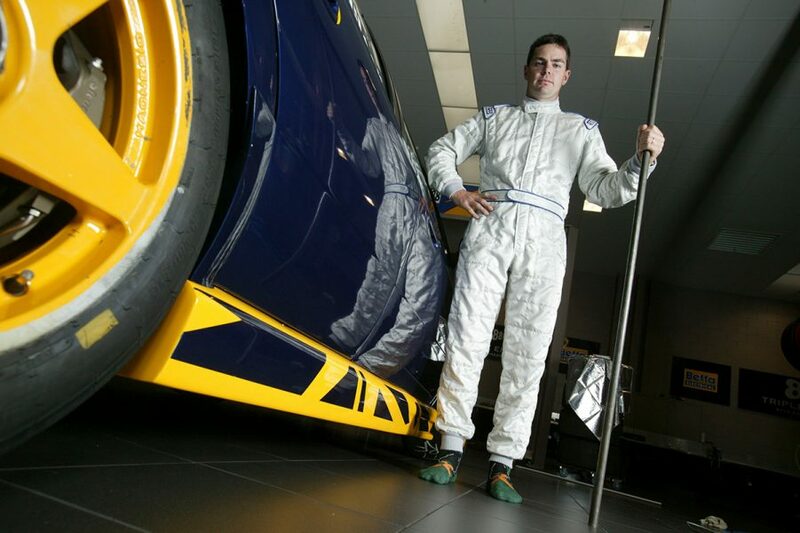 Lowndes again took a gamble in 2005 with Triple Eight; another UK engineering firm, which had an up-and-down first 12 months in Supercars before the star driver signed up. On this occasion, the ingredients clicked. From 2006-08, Triple Eight, Lowndes and co-driver Jamie Whincup were unbeatable at Bathurst. 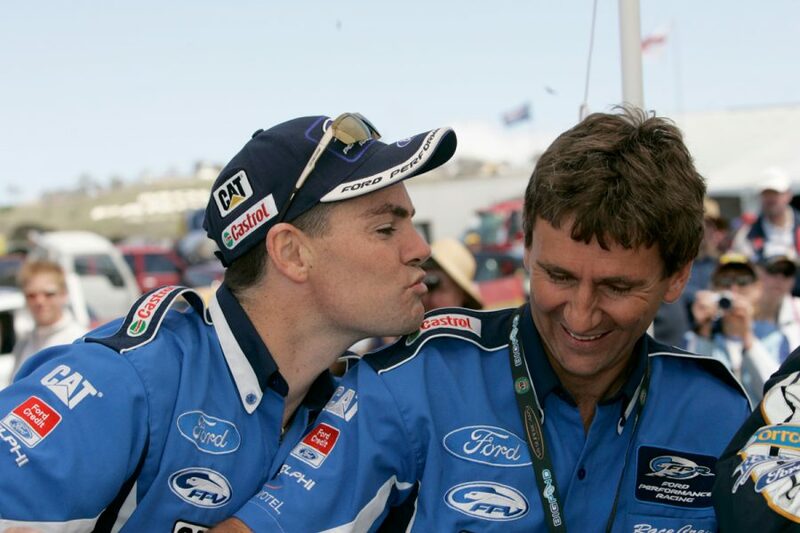 Those results – highlighted by the emotion-charged 2006 win following Peter Brock’s death -– ensure success with Ford is very much part of Lowndes’ legend. Although narrowly missing out on a championship in a Falcon, Lowndes piled on 22 race wins and 71 podiums in Triple Eight Fords. The manufacturer’s decision in mid-2008 to drop support of Triple Eight from the following year triggered a move back to Holden for 2010, completing the circle for Lowndes. Perhaps uniquely, Lowndes’ time with both sides seems to only have furthered his popularity and status as Supercars’ ultimate modern-day hero. “We still have Ford fans sending me messages or come up and say ‘if it can’t be a Ford we hope it’s you’, and the same thing with Holden fans when I was at Ford,” said Lowndes. “I’ve been lucky enough to embrace both sides. At the end of the day I’m a racer, I love racing cars and I love cars in general. Lowndes also owns his first Formula Ford race car; a Van Diemen RF85 restored to colours with which he raced it in the early 1990s.